Ideal for pool and spa systems with water features where evaporation and splash out is common. Levolor addresses the concern of lost water with sophisticated electronics that monitor water levels and keep the beautiful aquascape flowing. Our unique electronics compensate for waves, and our exclusive lock-out feature will not overfill the pool. 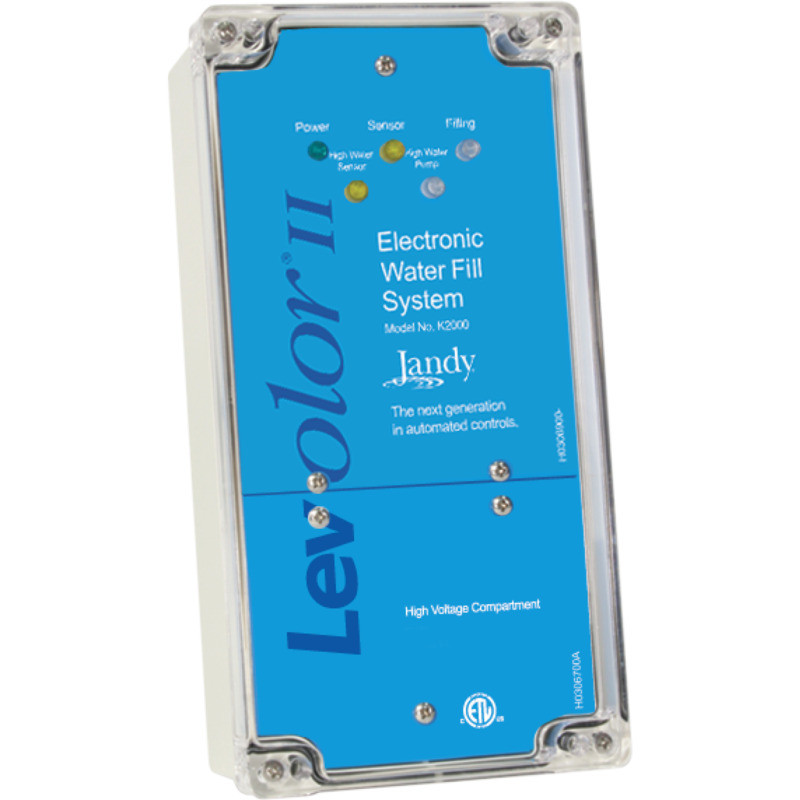 With no moving parts to break or rust, Levolor ensures a reliable flow of water. Electronic fill device used where a consistent water level is desired and a high level setting is detected. Ideal for vanishing edge and perimeter overflow pools or fountains.This model will automatically turn on the vanishing edge pump and fill the catch basin to test water level. Controller (wall mount), sensor (slip-18 style), and solenoid valve (where noted). Requires a relay (24VDC) suitable for operating a pump (ordered separately). Controls are wired 220V from factory, field adjustable for 110V installations. K2000CKI K2000, 250FT 18" SENSOR 1" VALVE.